The case, in stainless steel, measures 42mm x 14.7mm. It has double AR-coated sapphire crystals and it is water resistant to 30 meters. 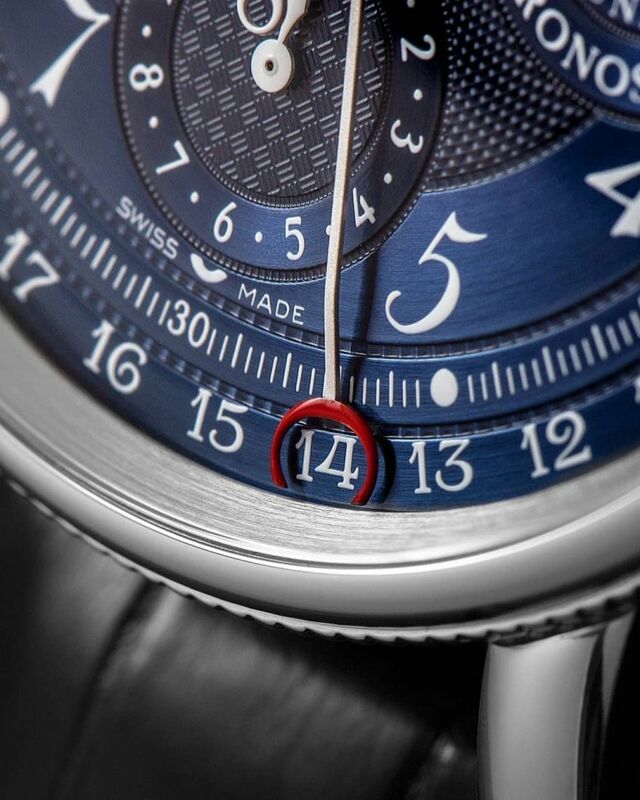 Movement is the Swiss automatic Chronoswiss caliber C755 (base ETA Valjoux) with 25 jewels, 28,800 vph and a power reserve of 46 hours. 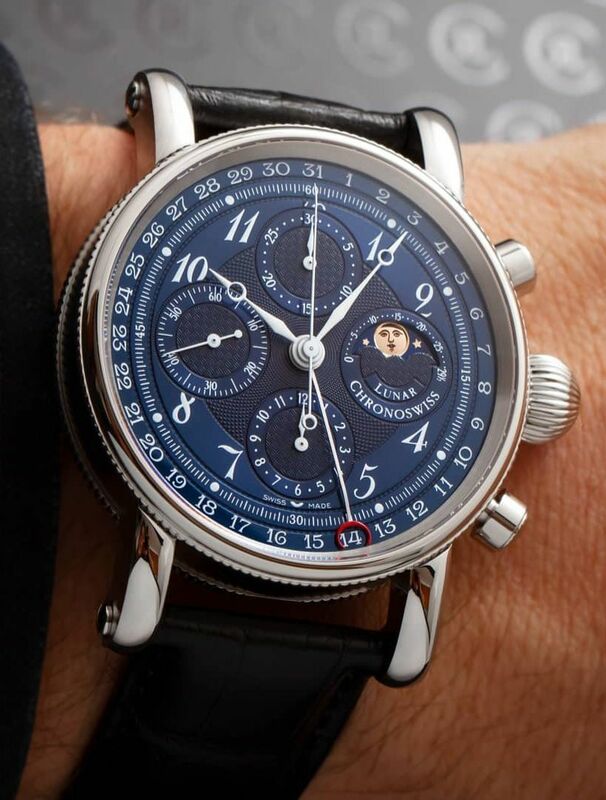 It features a moonphase and chronograph complications. 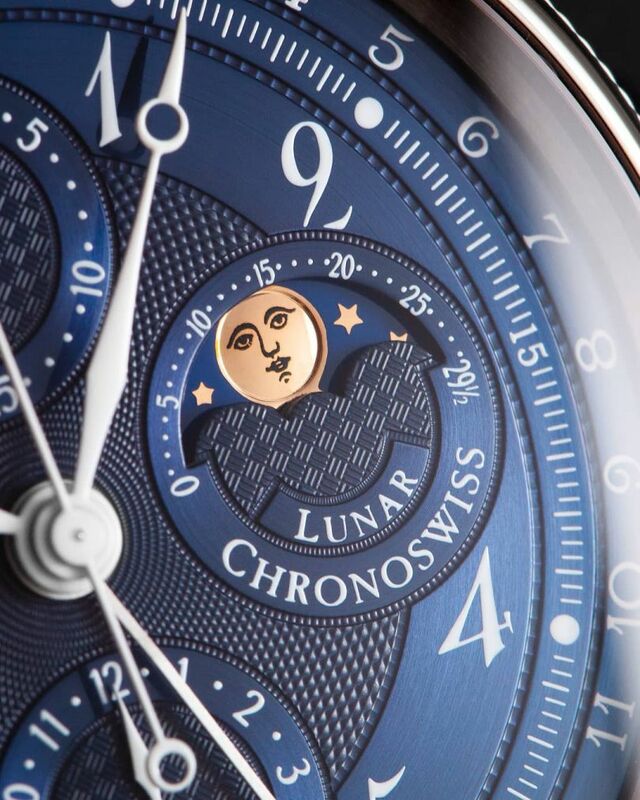 The galvanic blue guilloche dial has lacquered white Breguet Losange steel hands. 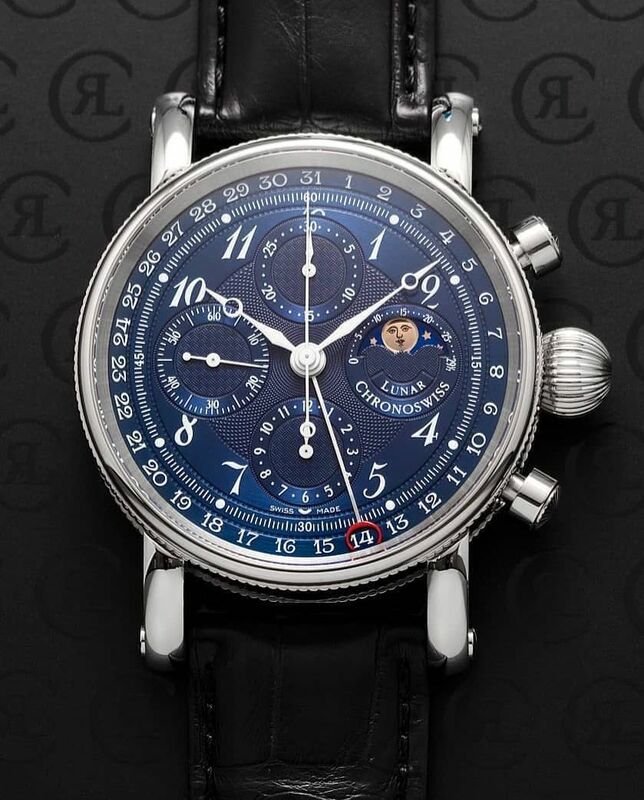 It comes on a dark blue alligator leather strap with a steel buckle.